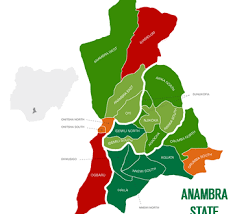 Members of Anambra State House of Assembly on Tuesday, screened and confirmed Transition Committee chairmen for the Local Government Areas (LGA) of the state. The Deputy Speaker of the House, Hon. Harford Ikechukwu Osseke, who presided over the plenary, read out a letter from the state Governor to the honourable members on the submission of the names of the TC Chairmen for the 21 LGAs and their members for consideration. The TC Chairmen and their members, who would pilot the affairs of the LGAs for the next three (3) Months, were after that, screened. Twenty (20) TC Chairmen, were screened and confirmed by the Legislators, except, Echezona Ezeibe, TC Chairman for Aguata LGA, who was stepped down by Hon. Uzoezie Ikemefuna, member representing Aguata 2 Constituency because of the several petition written against the Chairman. The screened TC Chairmen, who were confirmed include: Pauis Ifeadi Anambra East LGA, Silvester Orji Anambra East LGA, Ejiofor Ikeobi Anaocha LGA, Leo Nwoba Awka South LGA, Ben Onyeabor Ayamelum LGA, Emeka Okonkwo Dunukofia LGA, Austine Enendu Ekwusigo LGA, Nnabuife Raphael Idemili North LGA. In a vote of thanks moved by Nnabuife Raphael, TC Chairman for Idemili LGA, who spoke on behave of other Chairmen, Raphael assured the Lawmakers that they will put in their best for the betterment of their LGAs and the entire state. Speaking to Correspondents after the confirmation, Hon. Ify Obinebo, Chairman, Orumba LGA, Expressed optimism that, with the continued support from their LGAs more peace and progress will be recorded. She was full of gratitude to the people of Orumba for their love and trust shown so far, while stating that she has been successful because of their support. In the highlight of the day, was a one minute silence observed for late Hon. Patrick Aniuno. Ypu would recall that Hon. Aniuno , who was seeking for re-election, on till his death was the member representing Onitsha South 1 costitency at the present 6th assembly. He died just days to the just concluded State Assembly polls. The notification of the demise of Echezona .O. Ekechi was announced by the deputy speaker. Ekechi died on the 2nd of Febuary 2019. He was a Ho. member from 2003 – 2007 legislative term of Anambra State hHuse of Assembly.